While on tour in Iraq, an American soldier named Griffin suddenly goes mad, shooting several of his comrades before another soldier named Max reins him in. The only words Griffin can say are “Banana Fish,” thus igniting a mystery that remains unsolved years later. 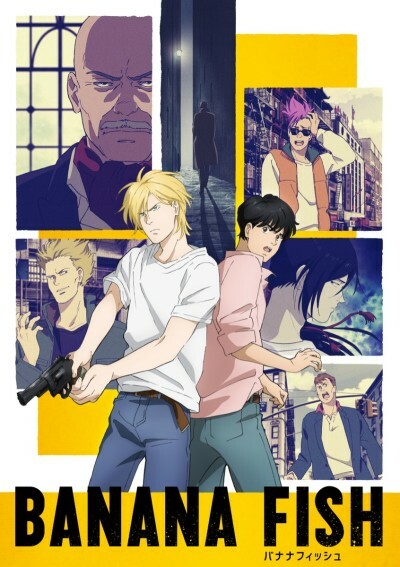 That's when a strange man approaches Griffin's younger brother Ash, the leader of a New York City street gang, hands him a mysterious necklace, and tells him an address and the words “Banana Fish” before dying. Before Ash can figure out what's going on, one of Dino's goons and a traitor kidnap Ash's protégé Skipper, accidentally nabbing visiting Japanese photography assistant Eiji along with him. But having already lost his brother, there's no way Ash is going to let Banana Fish take anyone else from him. Ash Lynx rebels against his don,a pure heart from japan clashes worlds,a secret will create an extraordinary bond.